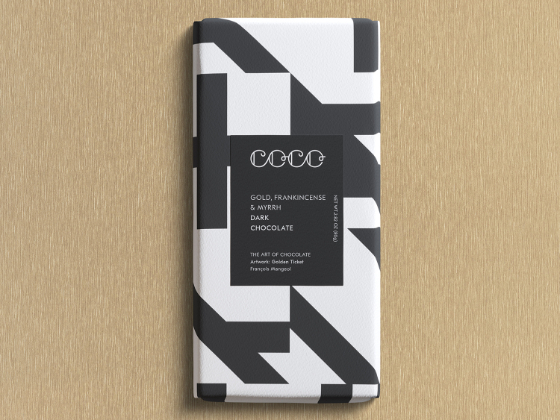 Edinburgh-based COCO Chocolatier launches limited edition Christmas bars. We meticulously craft our portfolio of contemporary chocolate with the world’s finest cocoa, before enveloping them in original designs by independent artists. We will never compromise, so expect excellent quality, sublime taste and distinctive packaging with every bar. 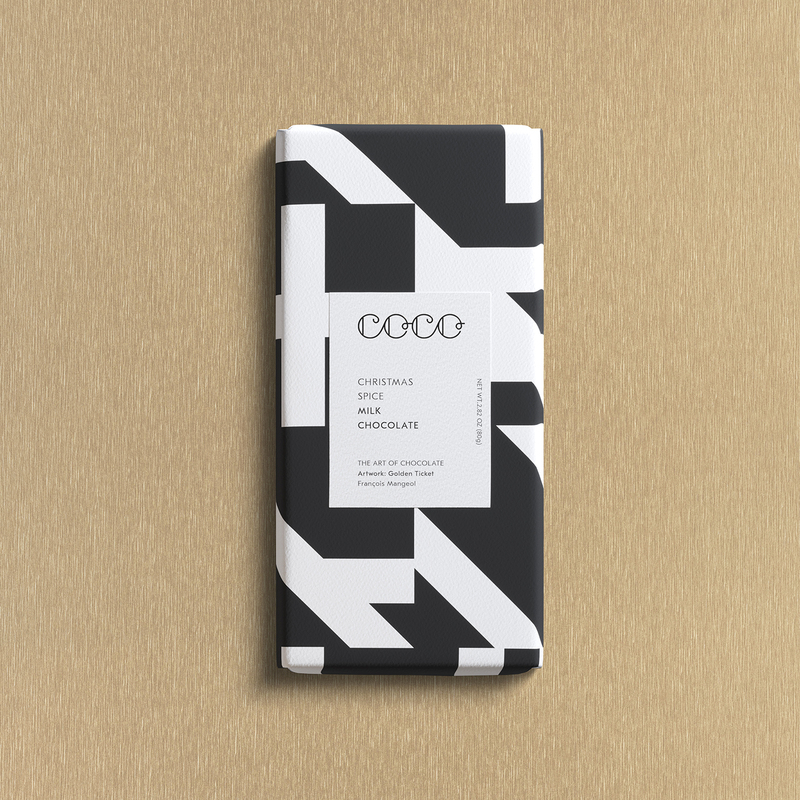 Gold, Frankincense & Myrrh Dark Chocolate – the most luxurious chocolate bar available! Smooth 61% single origin dark chocolate infused with frankincense and myrrh oils and dusted with edible gold. Christmas Spice Milk Chocolate – single origin 40% milk chocolate spiced with cinnamon, cardamom, nutmeg, star anise, cloves & allspice. True flavour of Christmas! 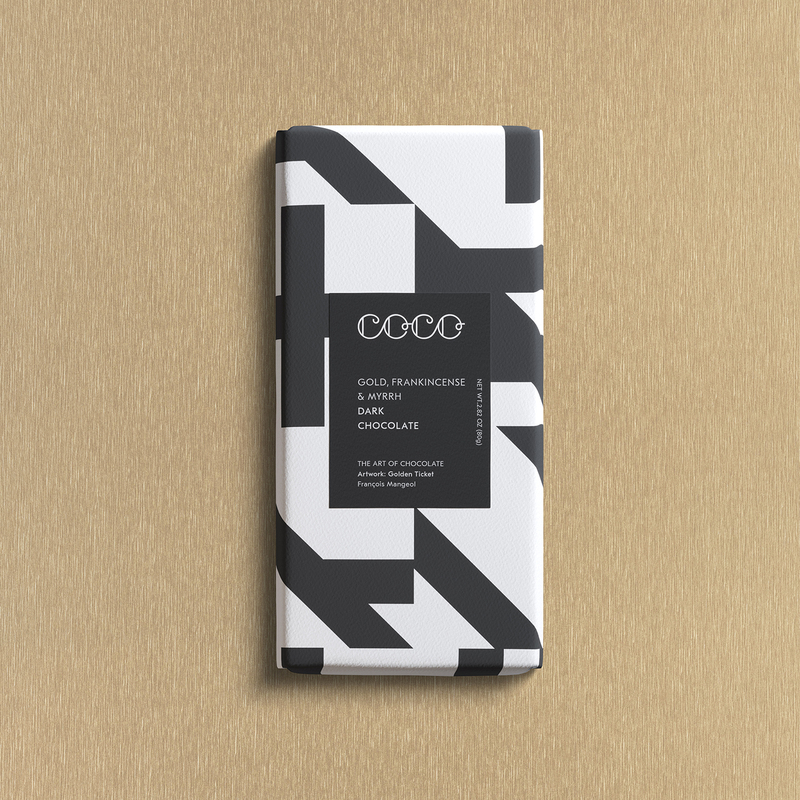 COCO’s uncompromising attention to detail doesn’t stop with the chocolate; the design of our packaging is as important. François Mangeol is the artist behind both Christmas bar wrappers. Paris-based Mangeol has a distinctive geometric black and white style. His elegant artworks are showcased in exhibitions around Europe including MAMCO Geneva.